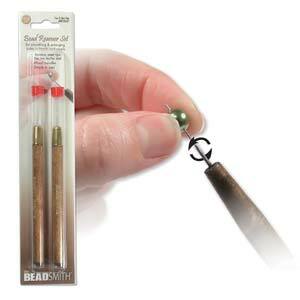 These simple tools are perfect for smoothing and enlarging holes in beads and pearls. Available in two different tip diameters: Fine (1mm) or Very Fine (.6mm), as well as a set that includes one of each. Plastic tube for safe storage. Stainless steel tips. Wooden handles.